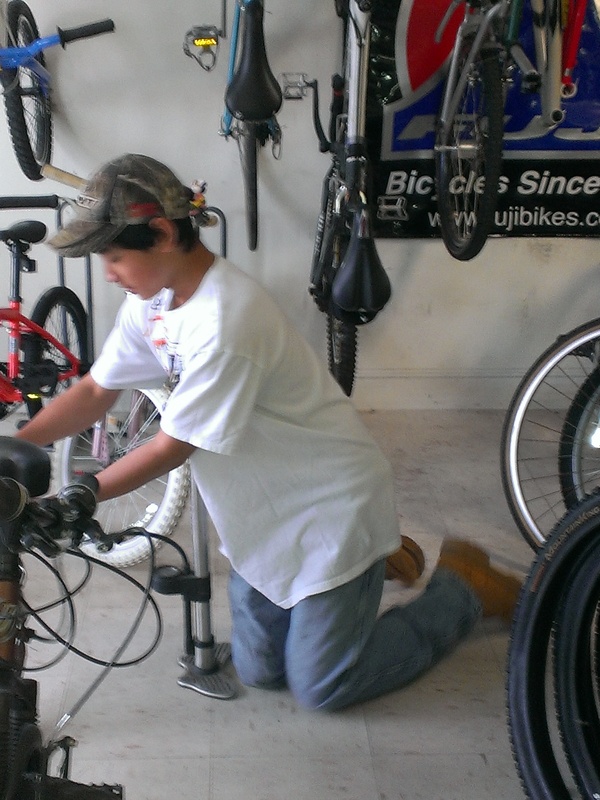 Kenny, a regular participant on rides and in the shop at the Nasson Community Bicycle Center is a new employee at Crum Cycles. Congratulations Kenny! Bike Club riders on the rail trail during our first bike ride. CR explaining some ride techniques before the first Sanford Junior High Bike Club ride.